Kyle Maynard, who I originally interviewed in episode 2 from this season, is back! As you know from that episode, Kyle is uniquely qualified to talk about building a resilient life, since he lives it every day. 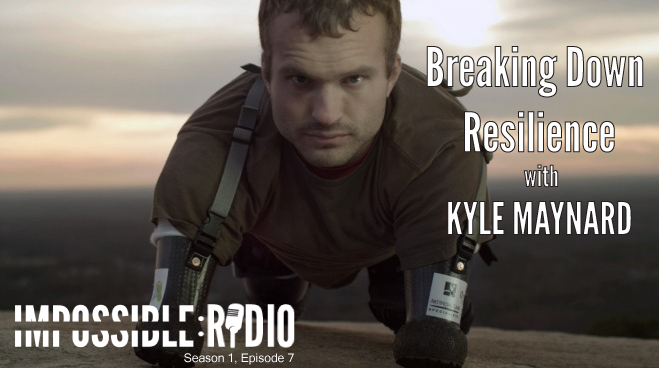 Born without arms and legs, Kyle has tackled both figurative and literal mountains, including Mount Kilimanjaro, which is Africa’s highest peak. In this episode, Kyle breaks down some quick tips and areas of focus that can help you build a resilient mindset and life in a hurry. What to do when you feel “broken” and why it’s actually a good thing.